Egypt and six other countries are competing to host the 2017 African Cup of Nations after Libya withdrew due to political turmoil. The Confederation of African Football (CAF) announced that Algeria, Egypt, Gabon, Ghana, Kenya, Sudan and Zimbabwe have all submitted their official bids to host the Cup. “The host country will be decided by the CAF Executive Committee during one of its sessions in 2015,” said CAF in a press release. According to the African football body, the winner will be a nation that has the suitable infrastructure to prepare for the hosting of the Cup in a short period of time. Egypt has hosted the competition in 1974, 1986 and 2006, and won the title in 2006. The Pharaohs are the most successful in the competition having won the Cup seven times, including in 1957, 1959, 1986, 1998, 2006, 2008 and 2010. 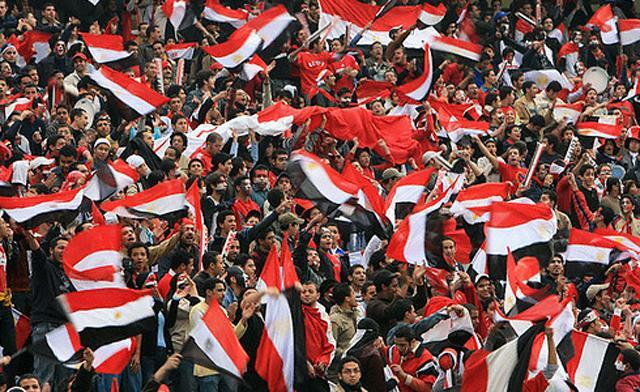 However, since the January 25 revolution in 2011, political and economic turmoil has seen Egypt’s FIFA ranking drop and the team has struggled to recover. Egypt’s football stadiums have also been seen as a concern for onlookers, as a series of violent incidents have left dozens dead or injured, forcing Egypt to host games without audiences until earlier this year. Nevertheless, Egyptian football officials hope the bid for the African Cup of Nations will revive Egypt’s position in the football world.